The Fiery® Impose document layout application has a flexible and intuitive visual interface that enables error-free layout at a sheet level. 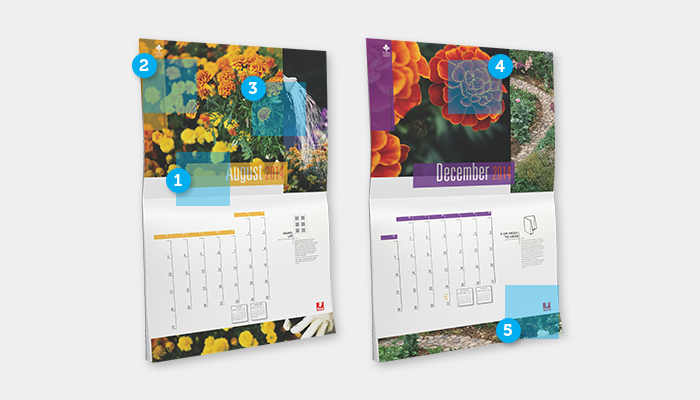 Calendars can include logos and brand colors defined with spot colors such as PANTONE®. Fiery servers support PANTONE and other color systems to match a desired spot color on a given printer. When files include images, or a mix of images and spot colors, Fiery servers will correctly render and produce accurate colors. Fiery servers also enhances small, fine text and graphics. Fiery Image Enhance Visual Editor is an interactive tool that adjusts images in a job individually, without opening and editing the file in the originating application. Adjust brightness, contrast, highlights, shadows, color balance and sharpness; and make red-eye corrections on any image.